Over the past month, you may have noticed that we added in a few new features to the Yola Sitebuilder and Online Store that can help you further customize your website. Our custom panel widget is one of our more flexible tools, allowing you to create sections of your site and add in text and images within these sections. Now, when you upload an image to set as the background of your custom panel, you can choose to have the image size set to auto, cover or contain. This means that the size of your custom panel will display your image exactly how you want. We’ve updated our Google Maps widget to include ten different styles from gray to green to bubbly and clean cut. 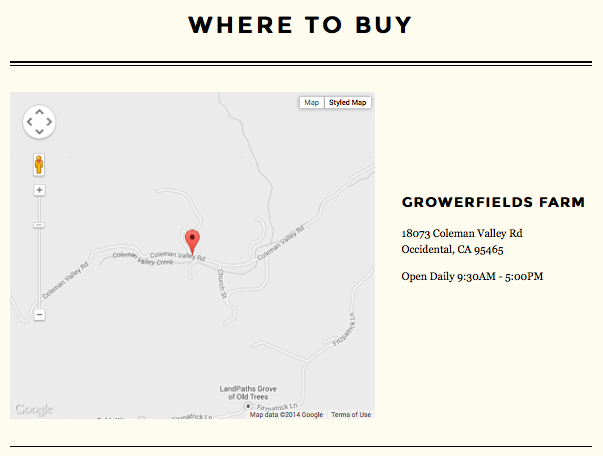 You can easily change the look and feel of your map to match your website branding. Simply go to the settings after you’ve dropped the map widget on to your page and choose a style to your liking. 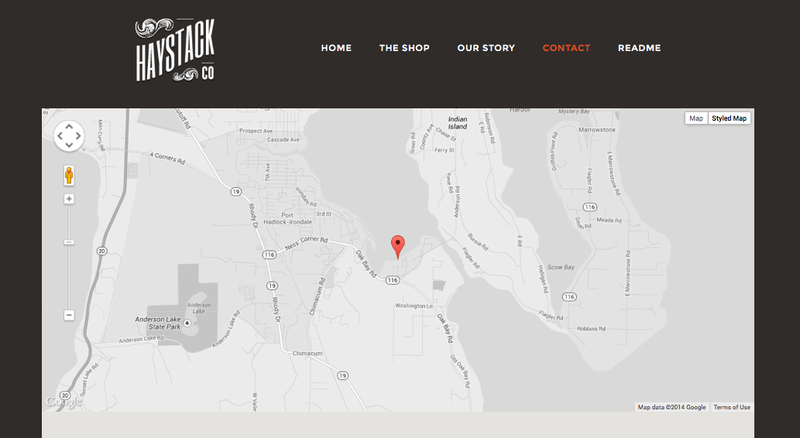 Take a look at our demo site Haystack to see one of the map styles at work. On the Skyline Style you can choose to display banners on a per page basis. This means that you can add a banner to your homepage but have it removed for your contact page. Similarly you can also upload different images for banners on each page of your site. Our column divider widget just got a little easier. Add padding to each side of the column to control the space around the elements inside. For example, on your contact page, you can add space around a text widget moving it to be halfway down the length of your Google Maps widget but within the same column. It can also be used to add space between two Text widgets to prevent words running together. You can see an example of this on Growersfield Farm below. When you add products to your Yola Online Store, each product page will be submitted with your sitemap to Google so that the keywords, titles and descriptions will be crawled. To see your sitemap, republish your website and go to http://MyWebsite.com/sitemap.xml and replace “My Website” with your website name. To speed up the process, you can submit your sitemap to Google following the steps in this tutorial. We hope these updates have been helpful. Please let us know in the comments below what you think about our new features. YOLA has been the best way to build and manage a website. Hooray! Great improvements. Have felt the need for many of these. Carmine, what is it that you need help with? We agree that would be a wonderful addition, and will pass it along to our design team for consideration. Please see the steps shared above (on B’s comment) to achieve an animated banner image on your website. If you have any questions, please let us know. We’re here to help! Photo slider and banners that can shift too to different promotions and what not. hello,can we dowload flash immage in our banners ? You can definitely add a Flash banner to your site, but not in the banner position of a style that has a changeable banner. This is because the banner area does not support .swf files. You may also find another style that works better for you; the above are just a few styles without a banner image that also do not have a large amount of space between the top of the page and where you can begin to place widgets. We have an excellent Style Guide which will help you choose the best style to fit your needs, here is a link: [Yola Style Guide](http://www.yola.com/yola-style-guide). 3. Then, go to Style > Style Settings > Style Designer. 4. Scroll down to the bottom and uncheck “Display Banner”. 1. Go to Widgets > Media. 2. Drag and drop the Flash SWF Widget onto your page. 3. You can either upload a new Flash file, or browse for existing files. 4. Once you have selected your file, it will display in the editing dialog box. 5. If necessary, edit the width, height, alignment and margin of the file. Thank you Luqman, it’s a pleasure having you as a Yola user! Thanks for the feedback – great to hear!